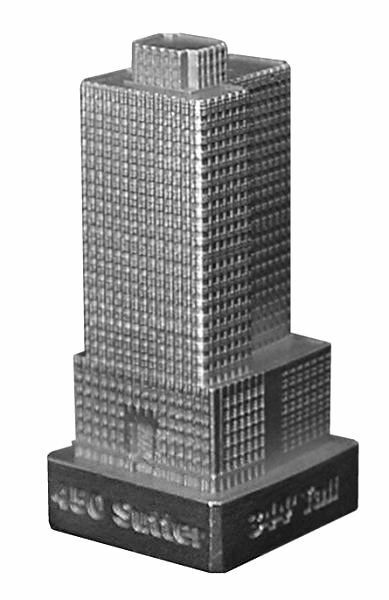 450 Sutter Street is located in San Francisco and was completed in 1929. This building was designed by Miller & Pflueger Architects and stands 344 feet tall with 28 floors. This pewter replica stands 2-11/16 inches tall and is finished in new pewter. This model's scale is 1 inch = 150 feet. For more pics and info check out our blog.